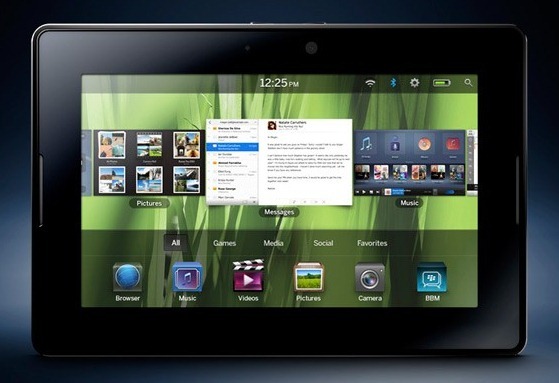 BlackBerry has officially announced it’s entry into the tablet market, the BlackBerry Playbook. This tablet PC features a 7″ (1024×600) touch display, a dual-core processor, Flash 10.1 and a micro-USB connector that is nowhere to be found on the iPad (without an adapter). To make the Playbook tablet a more viable platform, RIM is introducing an advertising platform and a ton of developer-related SDKs and tools for it’s shiny new gadget. Here’s a couple videos of the PlayBook courtesy of NetbookNews. Pricing was not included in the announcement and no doubt it will play a key role in the Playbook‘s success or failure against the iPad.